Explanation of the old money prices used on the Micromodels. Prior to 1971 Britain used a non-decimalised monetary system. Here is an explanation of these old English prices. 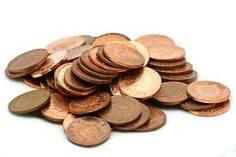 12 pennies made up one shilling. 20 shillings made up one pound. There were thus 240 pennies to the pound. It was all wonderfully complicated, and the British people delighted in its complexity. Visiting foreigners were totally mystified! This monetary system had its own nationally understood shorthand. 4d 6d 9d etc was a number of pence. 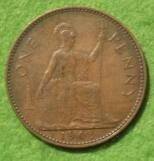 1/8 or 1/8d = one shilling and eight pence. 2/6 or 2/6d = two shilling and six pence. 3/4 or 3/4d = three shillings and four pence. £7/6/9d or £7-6-9 = seven pounds six shillings and nine pence. Converting to modern British money is not that difficult. There were 240 pennies to the pound, whereas there are now 100. The conversion factor therefore is 1p = 2.4d . Thus, 3/4d old money = 40 old pence. Divide this by 2.4 = 16.67 modern day new pence.